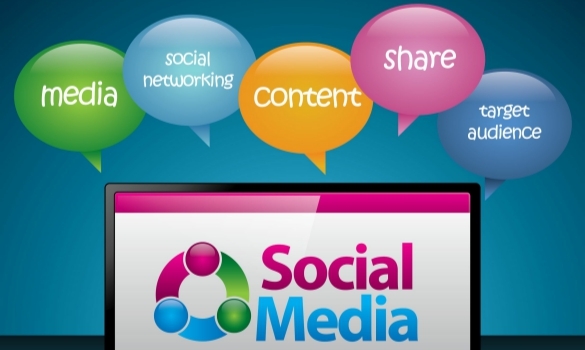 Social media is a crucial component of all modern-day marketing strategies. In order to experience the benefits that social media marketing tactics provide, you need to be sure that consumers are engaging with your digital content. If your business profile has engaging content, people will establish a relationship with your business. That is one surefire way to improve your bottom line and get more Twitter followers. Find out how to improve social media engagement for your online business presence in this post. Share video content with followers to increase engagement. Over 100 million hours of video are watched on the Facebook platform every single day. Clearly, social media users love video posts. Create and share videos on your business social media profiles to increase follower engagement and boost brand awareness. Ask questions in your social media posts for business. Social media followers are much more likely to engage with content when they are asked a question. It offers a way to start the conversation between business and consumer online. Business posts that use statements for captions are not nearly as inviting for social media users. Keep this in mind to optimize social media marketing posts for higher engagement. Use images whenever you create business posts for social media. Images increase engagement. Research has demonstrated this again and again. Try to stick to a particular color scheme or theme with your post images to align with your personal branding. This will help you appeal to your target audience on social media. To increase social media marketing engagement, use images whenever posting. Add humor to your social media posts. All audiences like humor. This is particularly true of the largest demographic present online, which is millennials. Millennials appreciate comedic social media accounts. They get much more engagement than posts utilizing a professional, business-like marketing voice. Use humor to lighten up your business’s social media presence online. It will help you improve engagement levels for your social media marketing strategies. You can easily improve engagement by starting a conversation with followers. Mention followers in certain posts. This is sure to increase engagement. Everyone likes to get attention online. Followers are much more likely to share content when they are included in the post or conversation. They are also much more likely to respond and like your content. Social media engagement strategies should always include some follower exchanges where you initiate the conversation directly. This will help make all of your other social media marketing tricks more effective overall. All business owners can benefit from social media marketing strategies. These online marketing tactics can really improve business performance. But in order to do so, you need to utilize them correctly alongside real time marketing strategies. Use the advice above to help you learn how to increase follower engagement for your business social media accounts. Your business social media presence will get a huge boost as your social media engagement levels do too.